Before you utter these four very important words, you want a creative way to propose that will make your offer completely irresistible. You want her to be able to relay the fantastic details that led to the “YES!” to friends and family and have them know that she made the best possible choice, because you are awesome…right? There are, of course, a great many ways to propose creatively. The Knot, a top source for bridal ideas has suggestions such as hiring a skywriter to spell out your proposal, having a choir or band show up to surprise your fiancé with their favorite song, or planning a romantic destination getaway to pop the question. While all these will make for a memorable and unique story, they are also quite expensive and require a great deal of planning and preparation. At Heartfelt Books, we help you to creatively express your feelings and intentions with a beautiful keepsake of the occasion that your sweetheart will always cherish! At Heartfelt Books, we want to help you to propose to your future spouse in a creative, original, and imaginative way that they never saw coming! We help you to express your feelings and intentions by having you answer questions and exercises about your relationship and all the details that have led you to this point in your lives. We then publish your answers in a beautiful, hardbound book. 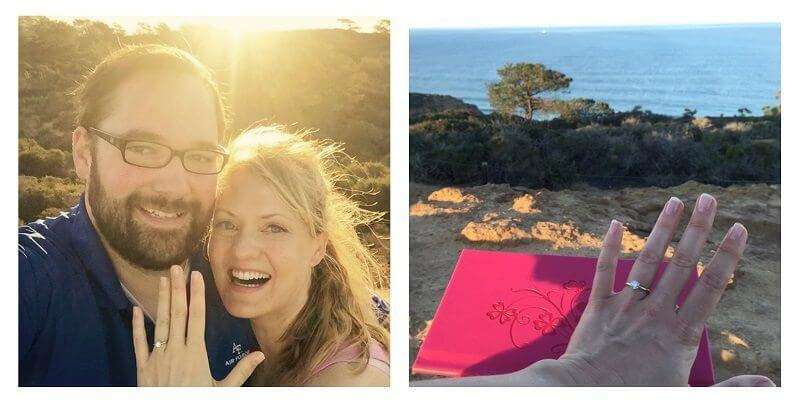 Andrew Hess got a “YES!” when he proposed with a Heartfelt Book. A Heartfelt Book is not only creative, deeply personal, and far less time consuming than other ideas, but provides a tangible keepsake that your future spouse will treasure forever! I choose you. Be mine forever? If you’re looking to make your proposal as meaningful and memorable as possible for your loved one, a Heartfelt Book is a creative way to propose. We’ll help you reflect on your best memories of your future spouse, convey your dedication and loyalty to them, and express your strongest hopes and desires for your future life together.